Below presented case is a 65 years old male person, who is suffering from Sanile Prostatitis. The patient was admitted to the Government District Hospital for the syndromes of prostatitis including obstruction of urination. Patient is also suffering from Chronic Obstructive Pulmonary Disorders with allied complaints. His attending physician asked him for surgical intervention, but they refused to do surgery , which patient could not tell the reason. We guess only that it might possible that respiratory tract problem may cause any serious condition during or after surgery or it may possible that after opening of Prostate area, it could be a malignent stage or so on . So Doctors refused for surgery and referred to other physician. 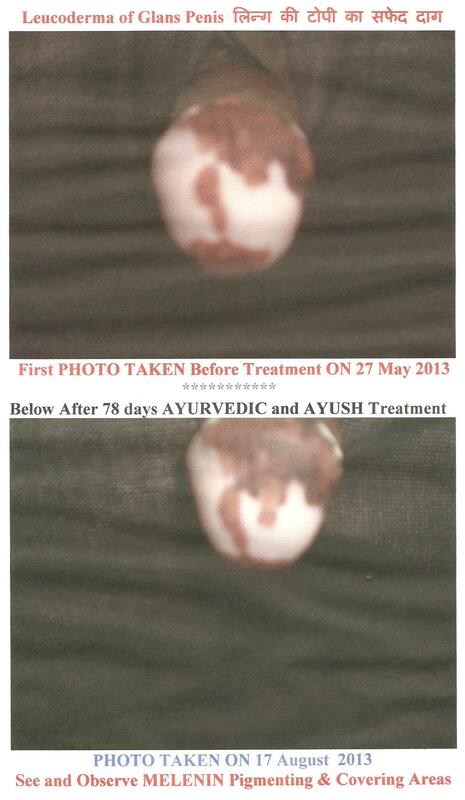 However I am patient’s family Ayurvedic physician and at this movement they consulted me on 24th May 2012. I gave him medicine and advised for ETG AyurvedaScan examination. Here both the findings of Allopathic and Ayurvedic are given for comparisons. I have prescribed remedies on the basis of the findings for a week and waiting for response. ऐसे मरीजों का इलाज ई०टी०जी० आयुर्वेदास्कैन की फाइन्डिन्ग्स और डाटा पर आधारित है , जैसा कि आयुर्वेदिक इलाज करने का यह आधुनिक वैग्यानिक अचूक और सटीक तरीका है / जब ETG AyurvedaScan की report की analysis और synthesis कि गयी तो पता चला कि इन मरीजों को tendency of High Blood Sugar level है / मैने जब इन रोगियों को बताया कि उनको blood sugar की बीमारी भी कैन्सर के साथ साथ है, तो इस सभी मरीजों ने इन्कार कर दिया कि उनको तो जीवन में कभी डायबिटीज की बीमारी हुयी ही नही ? Solanum Nigrum is used since centuries for mucolytic purposes. The expectoration of mucous becomes easy after the use of kantakaryavaleh.. If this avaleh is used as anupan, it boosts the action of main medicine. The remedy is indicative in all sorts of repiratory problems and COPD disorders. Kantakaryavaleh have no side effects and is totaly safe for use of all ages including pregnent womens.